These two “symbolic” and substantive developments represent both an opportunity and a challenge for the U.S. geopolitical interests in the Indian Ocean and the Red Sea. The contemporary U.S. foreign policy which is hardwired on counterterrorism posturing has been on a losing streak — Iraq, Afghanistan, Yemen, to name a few. In the Horn of Africa, it is facing some serious challenges: China’s checkbook diplomacy, Ethiopia’s hegemonic adventures, and the indirect effect of the so-called Arab Spring. Kerry’s trip to Mogadishu came at an election year when the Democratic frontrunner is being accused of foreign policy recklessness, and at a time when the State Department is too cautious to even say when the American embassy might open there. As such, it is more than a symbolic gesture; it was a strategic one — the poor timing notwithstanding. Contrary to some Somali and U.S. media headlines that were quick to claim that Kerry’s historic trip to Somalia was an expression of U.S. confidence and a “show of support” to the Intergovernmental Authority on Development (IGAD)/Ethiopia-led federalization process, the impetus driving the trip was geopolitical in nature. At the airport compound, days after concluding the latest of the Balkanization conferences in Garowe, Puntland, Kerry met with four Somali presidents and one prime minster, though not his Somali counterpart. So, what was on the agenda? Were all those actors on the same page? Ironically, it did not matter. The trip was about a place holder — an affirmation that the U.S. is still interested in Somalia and is anxiously waiting for competent partners who know what they want and what they have as leverage. “We all have a stake in what happens here in Somalia,” he added. While Kerry is right on the latter, supporting a “unified” Somalia governed through a clan-based federal system of ever-descending allegiance is nothing more than a pipe dream. The nation formerly known as Somalia is more divided today than ever before as a result of such dichotomous combination. As erratic as its foreign policy toward Somalia may have been, the U.S. seems to have realized that it has made an error in its ways. U.S. lawmakers also seem to have realized that the current Somali politicians have indicated that they neither think nor function as leaders of a single nation. Directly or indirectly, each one of them is committed to keeping politics at the clan level, or more bluntly, at the gutter level, where geostrategic negation that could benefit both nations is virtually impossible. China now has over $200 billion invested in Africa; a significant financial interest that may explain why China not only has economic, but “political, and military deals with a number of African states.” Djibouti is one of those states, and China has invested $9 billion in it. On the one hand, the latest venture might underscore a consistent survival-oriented strategic pattern in which Djibouti — a tiny strategic country located in perhaps Africa’s toughest neighborhood — partners with any willing power that could empower her economically and security-wise. On the other hand, the latest could prove a counterintuitive enterprise that profoundly impacts the balance of power in one of the most important strategic waterways and thus ensure geopolitical advantage to China over the rest. Against that backdrop, the shocking part is not that Djibouti is willing to become the first nation to host two competing superpower “frenemies,” but that China is confident enough to setup a military base right next to the U.S., France and Japan in the tiny Horn of Africa nation. Meanwhile, as AMISOM is set to face the security threats emanating from al Shabaab’s party-balloon-effect, it certainly risks a mission creep. Such outcome, needless to say, would automatically boost the strategic position of Ethiopia — the only country with the military might, devout cronies, and political will to engross Somalia or feast on it a few bites at a time. In the past two decades, Ethiopia has proven its ability to project itself as a problem-solving nation. Whether one gets its diplomatic façade that I refer to as “injera diplomacy” or its predatory side depends on Ethiopia’s immediate hegemonic interest. Injera is a spongy Ethiopian flatbread served with a variety of meat and vegetable stews. With it one can easily scoop much of the stew one bite after another without dirtying one’s hand. Make no mistake — Ethiopia is a stakeholder in the Djibouti and China deal. As a landlocked nation with growing economy, Ethiopia is counting on China’s scheduled project to expand Djibouti’s sea port. The former has recently purchased three merchant ships that are hosted in Djibouti. Ethiopia has been making its chess moves as it is mindful, that, sooner or later, its policy toward Somalia would collide with U.S.’ strategic interest in that country. Ethiopia not only offers economic incentive to Djibouti and political clout within IGAD, it also grants her reassurances in dealing with future threats that may emanate from the ethnically-Ethiopian Djiboutian Afar community, which is a significant number of the population. It has been rumored for some time that U.S. and Yemeni officials plan to build a military prison — a “new Guantánamo” — on the remote island of Socotra. The island has a rare combination of strategic geographical location, minimal population, and remoteness from media attention and scrutiny. 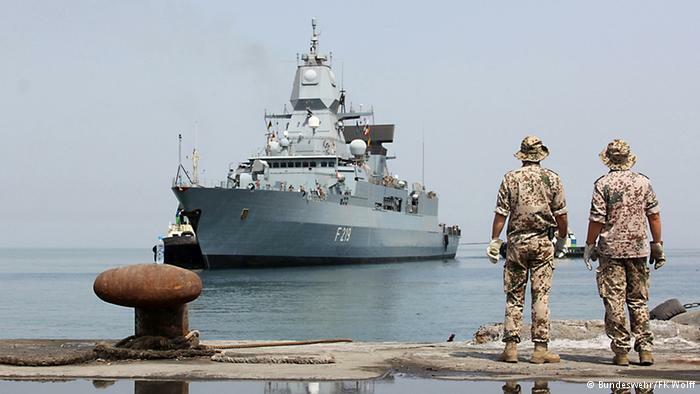 Now, with a hybrid political/sectarian wildfire raging in the Gulf of Aden, the Houthis gaining the upper hand and subsequent Iranian direct influence in Yemen is looming, the U.S. is standing on thin ice in terms of its strategic maritime position and influence. Unified and sovereign Somalia could be a significant factor in tipping the strategic balance of power both in the Indian Ocean and the Red Sea. The next leadership team would have to be mindful of the importance of cultivating a strategic partnership with the U.S.; it is the only way to protect Somalia from neighborhood political predators. But, such a partnership could only happen with a new U.S. policy toward Somalia.